The process of wedding planning has been a learning curve, to say the least! I thought I had a pretty good understanding of what goes into making a wedding happen, but actually planning one? Heavens. I now look back at my naive little pre-engaged self and smile. How was I to know that the stunning events I saw in the pages of magazines didn’t simply pop up overnight? Sometimes ignorance is bliss, right? Teasing, teasing of course! As I’ve mentioned before, I have truly loved this season. And the reason I genuinely believe I’ve loved it so much (and not felt completely stressed the entire time) is because of the incredible vendors I am lucky enough to have on board for me and Andrew’s big day! You see, stunning weddings don’t simply pop up overnight, as I once assumed. It takes a village. No, not even a village, y’all. An army. And today, I’m excited to be partering with WeddingWire to talk about how to you can select vendors who are going to enhance your wedding planning season and make your day one to remember! 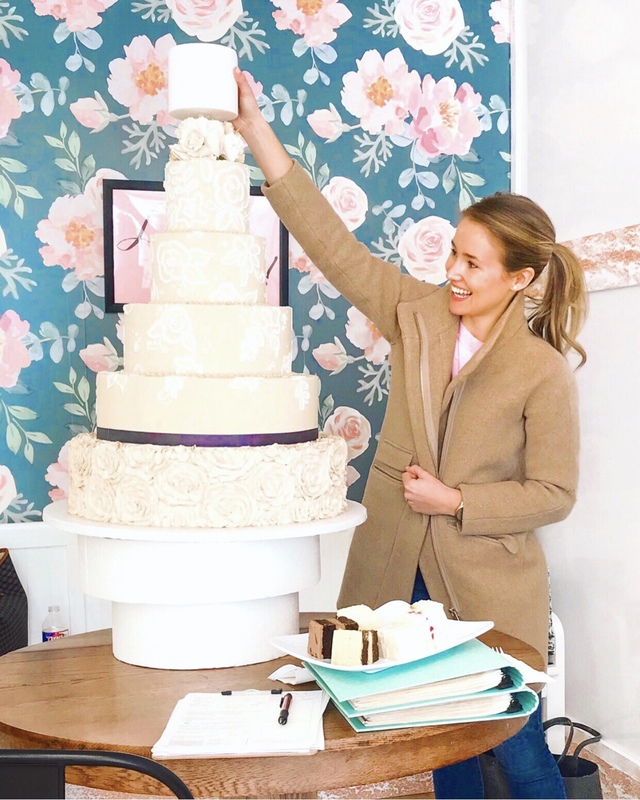 If you are a bride-to-be, I hope these tips help you assemble a team that makes your entire engagement season, along with the wedding itself, memorable and wonderful. 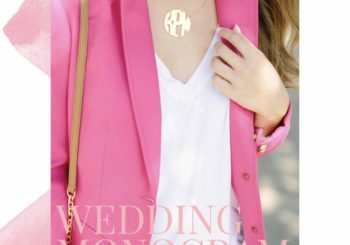 If you are nowhere close to getting married, I hope these tips stay in the back of your mind so you can hit the ground running when the time comes! And to those of you who have walked this road before, I hope you’ll share tips on how you selected the vendors who made your wedding day! When it comes to selecting wedding vendors, my opinion on the best place to start? Your friends who have done this before! I’ve found that the one thing more important than a vendor’s skill and delivery is the experience of working with them. Wedding planning can be a hectic, highly emotional experience. Trust me, you want vendors who you enjoy working with! So start by asking your married friends what vendors they loved working with. Then, ask if there were any they didn’t enjoy! This inside info is worth it’s weight in gold, and is by far the best place to start. I was adamant about “doing my research” with every single vendor we selected, so I looked at both personal recommendations and ones I found through other sources. The vast majority of vendors we ended up selecting for our big day were the ones personal friends recommended from the get-go. It just goes to show! I have gained a whole new level of respect for Instagram throughout the wedding planning process. You see, on top of being a mindless place to scroll, it’s a total goldmine when it comes to sourcing wedding ideas and vendors! My advice? Take to the Instagram search bar and type in location-relevant queries like #DallasWedding, #DallasBride, #DallasFlorist, etc. It won’t take you long to find tons of wedding-related accounts, from photographers to rental companies to venues, and so much more! Try finding a wedding photographer in your area and see if they tag any vendors in their images. (Most do!) This will quickly lead you on a wedding rabbit trail, and will let you discover tons of vendors in your area. Then, once you find a vendor you’re interested in (a florist, let’s say) click on their tagged images to see more of their work! Over the past few months, I have loved consistently doing this with our ceremony and reception venues, as well as our florists. It’s so much fun to see what others are doing, and a great source for serious inspiration! Throughout my Wedding Wednesday series, y’all have heard me go on and on about my love for WeddingWire! It has been such a helpful resource in every stage of my wedding planning experience, from registering to staying organized and so much more. And in terms of finding a band for me and Andrew’s big day, another tool in the WeddingWire aresenal, the wedding vendor directory, saved. the. day. Let’s back up a bit. One of the things I’ve always been the most excited about for my wedding, and one of the things Andrew and I really wanted to prioritize, is an incredible wedding band. Both of our families love to dance, and we want our reception to feel like a huge party! Since Andrew and I have both been to so many weddings, we decided it could be awesome to do something a little bit different in terms of our band. So, we decided to book a fun band we both had seen and loved in our college years and make it a surprise for our guests. As the months went on, however, the excitement I initially had about this band started to turn into anxiety. They are truly amazing (and I’m sure some of y’all have seen them before) but let’s just say I started to worry that they wouldn’t fit the “vibe” we were going for with our reception. I would seriously spend so much time every day worrying about how we could pull it off, and finally realized the stress of it all just wasn’t worth it. So a couple of months ago (about four months away from our wedding) I made the decision to start from scratch and go the more traditional route. Since we were just months out, I was terrified there wouldn’t be any fabulous bands available! (Especially considering the band is one of the very first things people book.) I immediately pulled up the WeddingWire vendor directory and started the search! The great thing about the WeddingWire vendor directory is all of the filtering options! I was able to sort by category, price, and location, read reviews (which was SO helpful) and even contact the vendor directly by requesting pricing. I reached out to tons of bands, and heard back within a day or two from all of them! Much to my happy surprise, there were plenty of options available on my date. Whew! I ended up finding the perfect fit for our big night, and I absolutely can’t wait to share more about the band soon! They’re even better than I could have hoped, and I can’t wait for them to make our evening so much fun! So, if you’re looking for a place to get started, be sure to check out the WeddingWire vendor directory! One of the things I began to notice as I met with different vendors is that the wedding industry is a little world in-and-of-itself. When you think about it, it makes complete sense. Every Saturday, wedding florists, photographers, bands and hair and makeup artists end up spending a lot of time together! So, odds are, the vendors you meet with have their own opinions and experiences with other vendors outside of their own specialty. For example, your florist may really enjoy working with a certain lighting company. Your wedding photographer may have a makeup artist recommendation whose looks translate really well on camera. The point is, ask them for any and all recommendations. After all, who better to ask than those in the industry?! When it’s all said and done, the best way to get a feel for whether or not a vendor is a good fit for you is through an in-person meeting. Are they prompt and punctual? Did they make you feel welcome? Were they excited about your event and did they capture exactly what you’re looking for? It’s so important to meet with vendors in person because anyone can look good online and in photos! It’s how service-oriented they are that really counts. True (and funny) story: I had a pretty comical experience with a florist I was initially super excited to meet with. I guess my budget wasn’t up-to-par with what they were wanting, because the whole meeting was a flop… from their tardiness, to where they sat us (the middle of their workroom, so awkward), to them not getting back to me for four weeks after the meeting. Needless to say, I pretty quickly got the vibe it wasn’t going to work out and continued my hunt! On the other hand, I had meetings that I wasn’t initially crazy excited about go phenomenally well… where I really clicked with the person and felt so right about the decision. It just goes to show, you never really know until you’re face to face! Well, friends, you know me. I’m not one to skimp on word count! So forgive me for such a long post. :) I just really want to provide as much helpful information as I can since the process of selecting wedding vendors can be so overwhelming! I can’t wait to share our full vendor list after the wedding. We have been blessed with such an incredible team (y’all have already met a few, like our photographer John!) and I am so thankful for all of the effort and magic they’re putting into making this wedding the one of my dreams! Thank you, WeddingWire, for sponsoring this post. Thank you thank you for going through this season with us! I recently got engaged and keep so many of your posts bookmarked on my computer and go back for reference ALL THE TIME! You’ve been a life saver!